Even though I read the size I didn't expect it to be as big as it was when it was delivered. I am fine with a hose holder like this but my husband wants one of those kind that wind the hose back up on it. Until then this one will be just fine. I like how I can have this hanging where I need it and be able to take it inside for the winter. 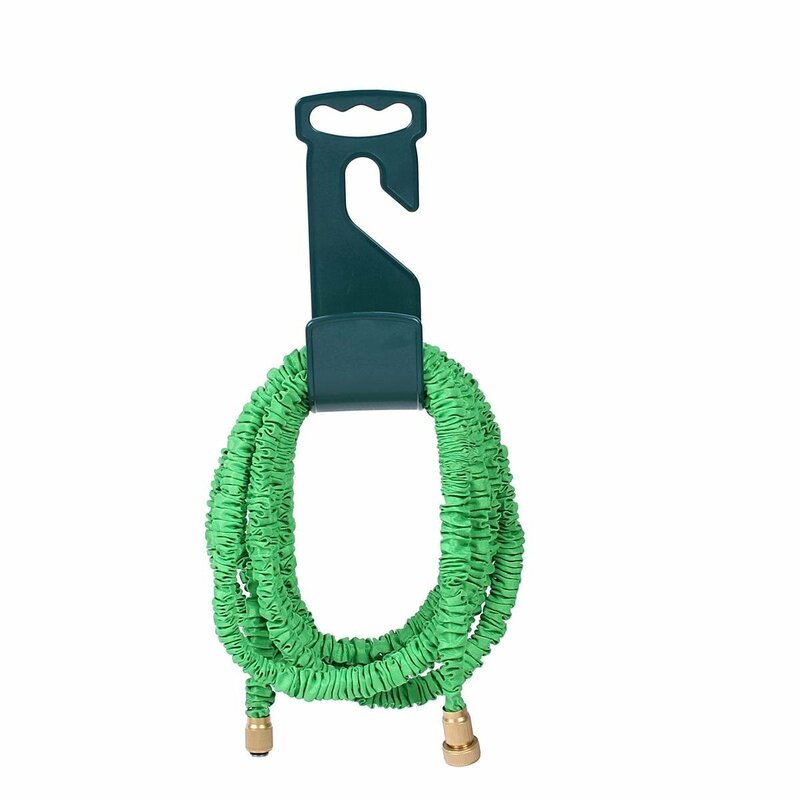 With the expandable hoses we haven't tested to see if they can stay out in the winter or not yet and to be honest I don't want to take the chance on leaving one out and it not making it's way through the winter, being left with a damaged garden hose in the spring. 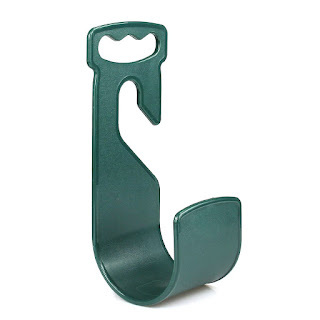 You can find this hose holder on Amazon. -Product dimension: 3.9" x 4.1" x 9.4"
-Package dimension: 4.3" x 4.3" x 10"